It’s been a really long week for me, having worked the holiday, so I am ready for the weekend! Before I head out, however, I’ve got to point you to that Friday fixture here at Dine 909…reviews! First up is the oft-reviewed Monalisa (or is that Mona Lisa?) Italian Food in Redlands. Elaine Lehman tackled the 6-inch meatball sandwich ($3.95 for the sandwich, chips and soda? Wow!) and lived to tell. David Cohen also headed out to Redlands for his review. He reviews Heska’s Soup and Sandwich, which is located in a strip mall at Lugonia and Wabash avenues. It’s been there over 11 years and I’ve never heard of it until now. And despite being called Heska’s Soup and Sandwich, they also sell salads, breakfast items and other entres, such as teriyaiki chicken. Click here to read David’s take on Heska’s. Happy birthday to Hangar 24! Redlands brewery Hangar 24 is celebrating its one-year anniversary with a mystery brew which will only be available this Saturday. What’s in this mystery beer, you might ask? You’ll have to wait until Saturday to find out. The only clue to the anniversary ale is that it’s made of local ingredients that are only available for two weeks out of the year. The beer will be served during the brewery’s anniversary celebration from noon to 8 p.m. Saturday (May 30). Hangar 24 is at 1710 Sessums Drive in Redlands. No, that’s not a typo in the headline above. Omaha Jack’s Grillhouse & Brewery in Rancho Cucamonga is hosting a fundraiser for the Ontario Reign Booster Club from 5 to 9 p.m. this Thursday (May 28). If you’ve ever been to a Reign game, you know that it is a ton of fun and well worth supporting. During the event, the club will have a raffle for various Reign memorabilia, including a signed Reign poster. If you’re thinking of heading over there, click here to print out a flier to bring to the restaurant. Omaha Jack’s is at 11837 Foothill Blvd., at Rochester Avenue. For this week’s reviews, we get a diverse pair of West Valley restaurants — Bento Box Japanese Grill in Ontario and Jim’s World Famous Charbroiled Hamburgers in Upland. Elaine Lehman follows the Ontario police to the Bento Box Japanese Grill (2910 S. Archibald Ave., Suite C) and enjoys their “affordable,” “delicious” food. Let’s Dine Out Show’s Allan Borgen, on the other hand, visits Jim’s World Famous Charbroiled Hamburgers (969 W. Foothill Blvd. ), which offers much more than just burgers. Allan mentions the following menu items: chicken fried steak and eggs; Western omelette; pastrami sandwich; fried chicken; pastrami, chili and cheese burrito; Polish sausage sandwich; shakes; and pancakes. I guess they’re called Jim’s World Famous Charbroiled Hamburgers because Jim’s World Famous Charbroiled Hamburgers, Chicken Fried Steak and Eggs, Western Omelettes, Pastrami Sandwiches, Fried Chicken, Pastrami, Chili and Cheese Burritos, Polish Sausage Sandwiches, Shakes and Pancakes just wouldn’t fit on the sign. Or perhaps because only their burgers are world famous. Whatever the case, Allan gives them four out of five stars…not bad. Jim’s is legendary…I remember my uncle talking about them being one of his haunts back when he was working for Caltrans. I’ve been there before, but not for a long, long time. I think it might be time for a return trip. Click here to peruse Allan’s review. With the Memorial Day holiday upon us, many here in the Inland Empire and elsewhere are heading out to the beach, to the park or simply to the backyard to barbecue or have a picnic. Dine 909 is watching out for you, because we don’t want you to spend your long weekend dealing with a bout of food poisoning. The Rancho Cucamonga fresh & easy (12188 Foothill Blvd. at Day Creek Boulevard) is finally going to open. Um, we don’t exactly know. 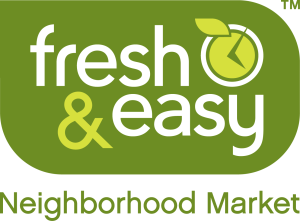 And you know how much we love fresh & easy here at Dine 909. Here’s yet another reason why: Whenever they open a new store, and again at that store’s first anniversary, they donate $1,000 to a local charity. Which charity will benefit when the Rancho Cucamonga store opens its doors? 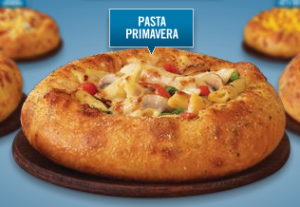 Free BreadBowl Pasta! Free BreadBowl Pasta! Free BreadBowl Pasta! If you want a free sample of Domino’s Pizza’s new BreadBowl Pasta, head on over to the store at 1383 S. Diamond Bar Blvd., in Diamond Bar. From 4 to 6 p.m. next Wednesday (May 27), that location (and perhaps others?) will be handing out samples of its latest creation. In a somewhat schizophrenic event, Dickey’s Barbecue Pit at 9670 Haven Avenue in Rancho Cucamonga, is hosting an Ontario Reign night this Wednesday (May 20), beginning at 6 p.m. Fans will receive 15% off all food and kids 12 and under will eat free during the event. They also will have an ice cream eating contest, with the winner taking home a limited edition Reign affiliate jersey. I’m getting an ice cream headache just thinking about that. The evening will culminate with a question and answer session with Reign head coach Karl Taylor. Still not getting the whole ice cream-barbecue-hockey connection, but it should be a fun event nevertheless. Click here to read the Reign’s press release. Went to Las Vegas earlier this week. Of course, other than gamble, the other thing I like to do in Vegas is eat. And eat I did. It’s also the first trip since finding out about the Grand Lux Cafe that I didn’t eat there. For the uninitiated, Grand Lux Cafe is an offshoot of The Cheesecake Factory. In fact, I think of it as a slightly more upscale version of The Cheesecake Factory, with better food. Not that the food at The Cheesecake Factory is bad, in fact, I think it’s quite good…it’s just that I feel that the food at Grand Lux Cafe is that much better. There are two Grand Lux Cafes in Las Vegas, in adjoining casinos, no less — one in the Venetian and one in the Palazzo. I’ve heard that the one in the Venetian is always crowded, while the one in the Palazzo is hardly ever crowded. I can’t compare…I’ve only been to the one in the Palazzo. So this trip, I have a couple of recommendations and a couple of places you might want to pass on. Gee, thanks a lot, Oprah! If you haven’t redeemed your coupon for your free KFC two-piece grilled chicken meal, you’re already too late. The response to the free offer was so overwhelming that Thursday the poultry purveyor issued a press release apologizing and explaining that they have stopped accepting the coupons. The offer had already bamboozled many consumers who had difficulties getting to the Web site to actually download and print the coupon, which involved installing software before being able to print them. KFC will be honoring the coupons, however. So, if you were able to: a) get to the Web site, and b) install the software, and c) successfully print a coupon, you’ll now be able to d) go to KFC with your coupon and get a rain check, and e) fill out the rain check and and hand it back to the manager, and f) wait for your rain check coupon to arrive in the mail. In return for your time and effort, not only will you receive the two-piece grilled chicken meal (with two sides and a biscuit), but you’ll get a free Pepsi as well. You’ve got until May 19 (the original expiration date of the coupon) to head to KFC and get your rain check. And if you want a little bit of a shock, you can click here to watch a You Tube video in which KFC President Roger Eaton discusses the snafu. It’s more than a little odd to hear an Aussie talking about Kentucky Fried Chicken. The person I feel most sorry for in all this mess? The person handling KFC’s Twitter account.